A police inspector and three journalists were arrested in Uttar Pradesh's Noida on charges of bribery and extortion, police said. 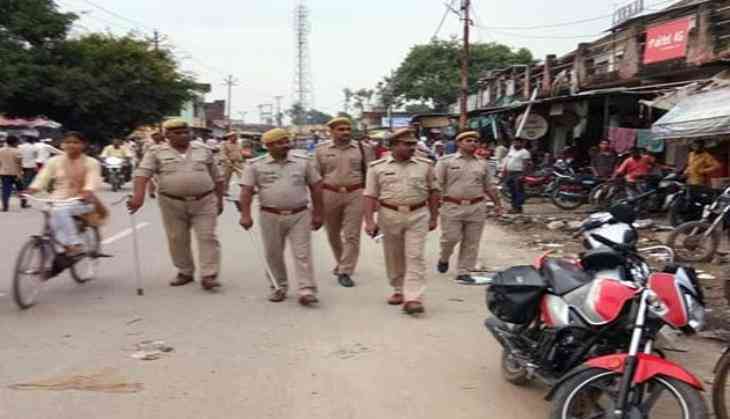 "Manoj Kumar Pant, SHO of Sector 20 police station, and journalists Sushil Pandit, Udit Goyal and Raman Thakur were arrested yesterday," Senior Superintendent of Police (SSP) Vaibhav Krishna said. He said the four were caught red-handed while taking the bribe of Rs. 8 lakh at the Sector 20 police station. "They were extorting money from a call center owner in the name of removing the latter's name from an FIR registered in November 2018," Mr Krishna said. A Mercedes car has also been seized from the possession of one of the journalists, which Mr Krishna said, seemed to be related to some "criminal activity". A .32 bore pistol was seized from the possession of another journalist, he said. "A total of Rs. 8 lakh has been seized and all four have been arrested," the district police chief said. Meanwhile, Additional SHO of Sector 20 police station, Jaiveer Singh, has been suspended for his alleged involvement in the case, the officer added.